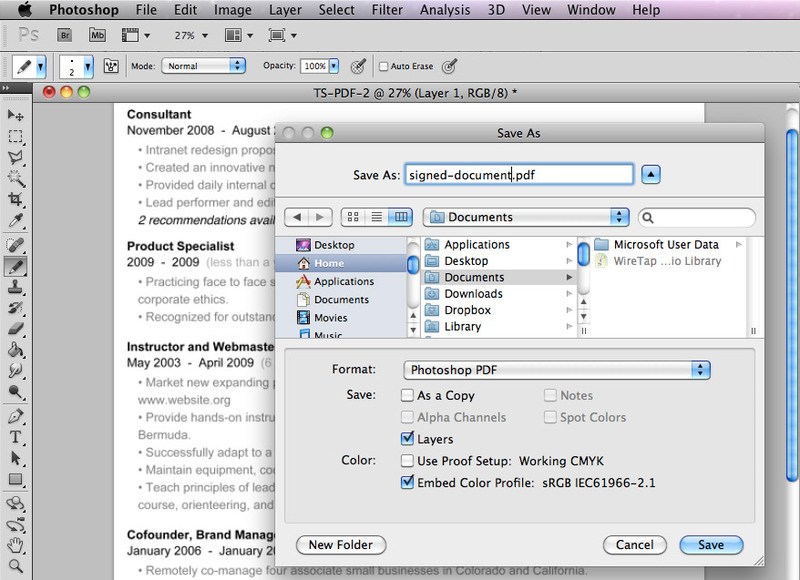 I have a love hate relationship with Adobe PDF documents. They can be very convenient, small on size and secure but they are also tough to edit. On a fairly regular basis I am sent non disclosure agreements, rent notices, tax forms and other secure professional or legal files that are saved in .pdf format and require my signature, date and typed name. I assume most people just bite the bullet and print these types of documents out, then sign and fax them back (you could also print, scan and fax online) but why waste the paper? 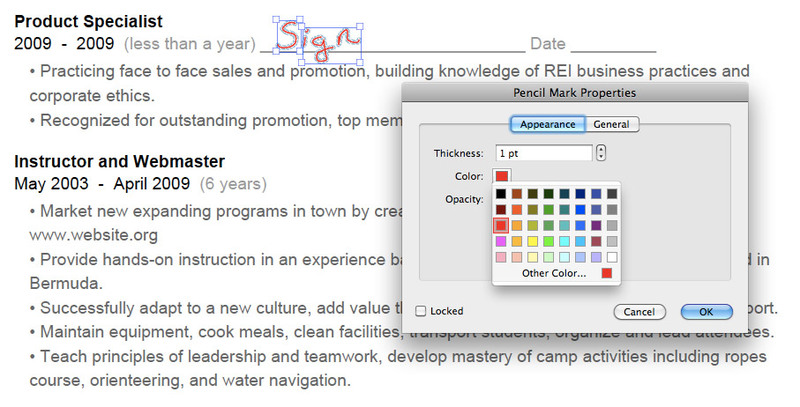 Instead of printing and faxing .pdf forms I prefer to digitally sign them and then email back. It saves time and paper, I also don’t have a fax machine and so that would require a trip to Kinko’s which wastes even more time and gas. I’m here to teach you how to do this yourself but there’s one huge drawback. 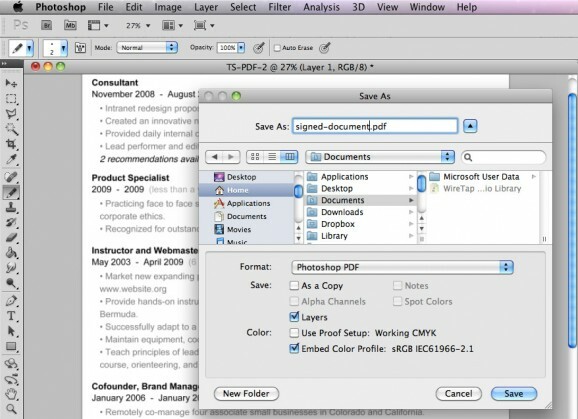 You can only do it if you have a copy of Adobe Acrobat Pro or depending on the settings in the PDF, Adobe Photoshop. The steps above are great if your PDF isn’t locked or set in PDF/A Mode, and if you own Adobe Acrobat Pro, but sometimes that’s just not the case. If most of the Comment & Markup menu options are grayed out along with Typewriter then you might try using Adobe Photoshop. 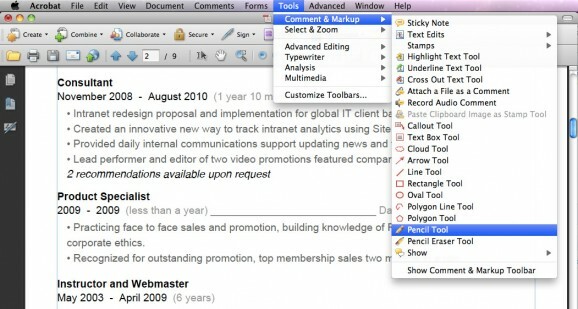 This program basically converts PDF documents into images and layers. When you edit this way the PDF changes a little but you can resave it in .pdf format and in many situations that’s just fine. To sign and type on a PDF document with Adobe Photoshop just follow these steps, keep in mind it will change the file and often leave existing text uneditable. This entry was posted on Wednesday, April 6th, 2011 at 6:36 pm.